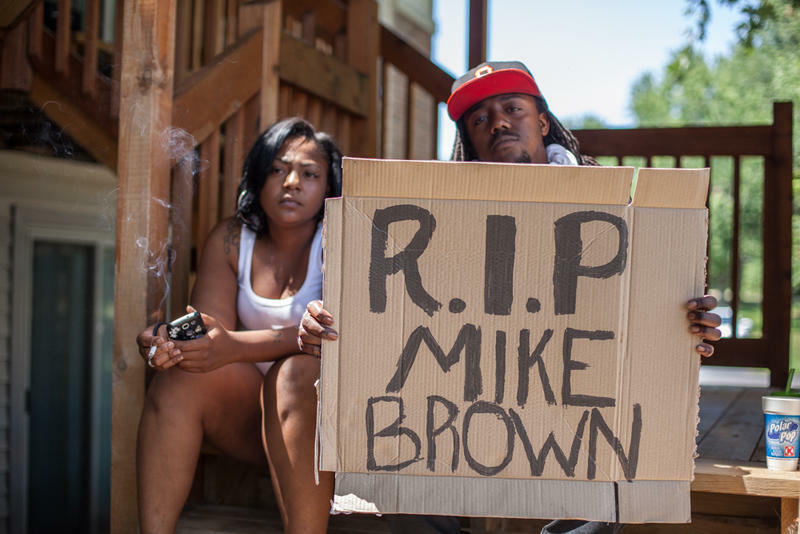 On June 24, the Radio and Television Digital News Association awarded KBIA a prestigious Edward R. Murrow award for the feature report, "Youth in Ferguson, 'I want more for my city than what it is now.'" 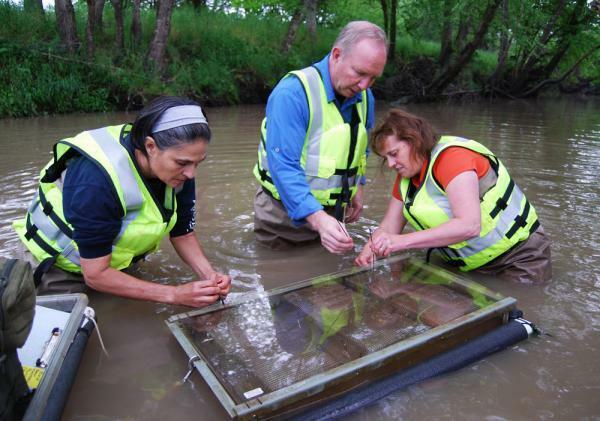 The story was produced by a team of reporters at KBIA: Bram Sable-Smith, Hope Kirwan, Austin Federa and Katie Hiler. Hope was a student when she did the reporting for this story, and just graduated in May. She continues to work at KBIA as a part time reporter on the Health and Wealth Desk. The others were professional staff at the station. Bram still works at KBIA as a full time reporter on the Health & Wealth Desk, Austin has moved on to a job at the Boston Globe, and Katie is freelancing for WHYY in Philadelphia. The awards recognize "the best electronic journalism produced by radio, television and online news organizations around the world." This is the second year in a row KBIA has won a national Edward R. Murrow Award, winning last year for best website. It is the station's fourth national award in the contest in the last 10 years. In the category for feature reporting, KBIA was selected as the top story among 12 regional award winners in the small market radio division. 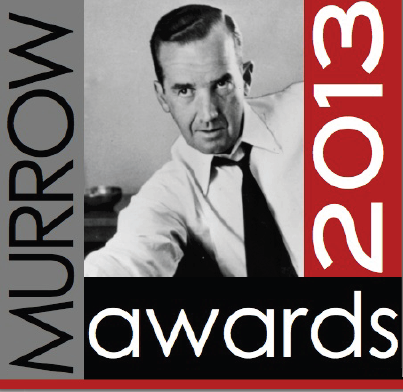 KBIA won regional Edward R. Murrow Awards in 5 categories this year, and has won 38 regional Murrow awards since 2004. The issues that would resonate after 18-year old Michael Brown was shot by Ferguson Police Officer Darren Wilson were clear with hours and days of the incident. That said, the immediate coverage of the story focused largely on the minute-to-minute updates of protests, arrests, and burnt buildings. Four days after the shooting, KBIA decided to go against that trend, and try to instead have more measured, calm conversations with people in the area that were coming to terms with the incident and the aftermath. (Ferguson is not in our listening area, but is only about an hour and half east of Columbia). Four KBIA producers canvassed the Ferguson area for five hours, and talked to people during the morning and the middle of the day – while other reporters were napping, or gearing up for another night of protest coverage. The producers worked together to edit portions of the interviews together to create the piece that you’ll hear. We decided to have sources self-ID, and used minimal reporter voicing to allow these voices to guide the conversation, and also avoid editorial intervention. We thought it important to provide a forum for these voices, which were not being heard in a constructive way at this point in time. Even though the Ferguson coverage was only beginning at this point, many of the sources KBIA producers spoke with were already experiencing source fatigue. When they arrived on scene, KBIA reporters were initially viewed with skepticism and often their requests for interviews were rejected. But when the producers had a chance to explain what type of story they were trying to do; that they were trying to provide a forum, sources that wouldn’t talk to other news agencies were willing to speak with our producers. We believe the stories we found did a better job of getting to the heart of the issue than much of the other coverage that was dominating the airwaves at that time. In the months following, many similar projects were launched by other organizations and outlets, including the “Youth Voices from Ferguson” project. 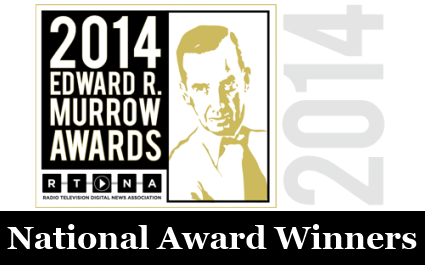 KBIA is proud to receive a national Edward R. Murrow Award for our website. The Radio Television Digital News Association announced the recipients of the 2014 national awards on June 11. On April 22nd the Radio Television Digital News Association announced the 2014 recipients of the prestigious Edward R. Murrow regional awards. The RTDNA's announcement says "the awards recognize the best electronic journalism produced by radio, television and online news organizations around the world." The Edward R. Murrow award is a yearly recognition presented by the Radio and Television Digital News Association for "outstanding achievements in electronic journalism." In 2006, August Skamenca won a national Edward R. Murrow Award for his investigation into the state of Missouri's voter registration rolls. You can listen to his story above. He worked with the Columbia Missourian's Matt Wynn, who wrote the story below. Columbia native William Phillippe was drawn to the West Coast through military service and a steady job after he graduated from Hickman High School in 1938. He moved back to his hometown in 1988 and in 1992 married Rea Phillippe.